Day or night- we are your Atlanta Emergency Plumbing Service. We are here for you 24 hours a day, 7 days a week. If you’re experiencing a plumbing emergency, don’t hesitate to call Atlanta Plumbers. We’re fast, friendly, and always professional at Atlanta Plumbers. Whether your plumbing emergency is in your office, kitchen or bathroom, indoors or outdoors, we are ready to help. We have the professionally trained, qualified technicians you want when dealing with any plumbing emergency problem. 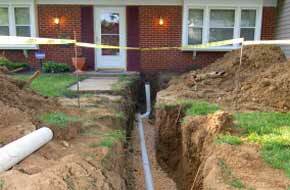 We are the best emergency Atlanta plumber for all of your residential and commercial plumbing emergencies.